Here’s how to get chat up quickly, use it to generate high-quality leads and make this a major success for your sales reps. The key to high-quality conversational marketing that converts visitors into sales opportunities is understanding each prospect’s experience. What do they want when then land on your homepage? This is going to be different than when they land on your product page or in your resources section. Thinking this through is an important first step. Think about this like strategy before tactics, a mantra we share frequently with clients. Think before you act. You have two ears and one mouth; listen to what your prospects want, and this will help you decide how to deliver chat features on your website. Here’s a good example from our own chat experiences. Visitors to your homepage are like visitors coming into your store for the first time. They need to be warmed up. Jumping on them causes them to push back. Defenses come up, and you get responses like “just browsing.” Sounds shockingly familiar to the retail experience, right? However, when they are on your about page or your work page, they are more eager to ask very specific questions, so the chat experience has to match. Thinking this through up front produces better results earlier in your experience with chat and prevents you from having to do more work later to fix what was launched without a solid strategy. One of the major benefits of chat and chat technology is the ability to answer visitors’ questions with an experience that does an amazing job of mimicking a human experience. Today, chat tools allow you to build a database of commonly asked questions and the exact answers you’d like to provide visitors when they ask their questions. To deploy this properly, you’ll need to know a lot of the questions that prospects typically ask. We’ve found that the sales team is an excellent place to start collecting these questions, because they’re already getting asked and they also have answers. Now they might not have the right answers, but you should know how they’re answering these questions anyway, and as a marketing team aligned with your sales team, you should be helping them answer those questions. Next, you’re going to take those questions and build a database of amazing answers for the chatbot to dole out as needed. Make sure you build your chatbot to ask if the answers were helpful. Not only is it a nice human touch, but it will provide instant feedback to be sure your questions are hitting the mark and give you the insight you need to fix those that are not. It’s important that you align your website, website pages and (in context) your chat experience with each prospect’s Cyclonic Buyer Journey™. This means you’ll need pages, content and chat designed specifically for people who are in the Awareness Stage, or just casually looking for info. You’ll need pages, content and chat designed specifically for the Education Stage, where people are active in their search for info. You’ll need pages, content and chat dialog designed specifically for the Consideration Stage, where people have decided on a specific set of solutions and are narrowing their decision. You’ll need pages, content and chat designed specifically for the Evaluation Stage, where people have narrowed their choices down to just a few and are now ready to speak with your reps about their specific requirements. The handoff to sales is typically during the Evaluation Stage, but you’ll still need pages, content and chat for prospects who are working with sales and in the Rationalization Stage. They’re looking for social proof, case studies, testimonials and validation that their direction is the right one. Then in the Decision Stage, it’s truly in the hands of your sales team. In my estimation, your chat strategy is likely to be less important here. However, if these “about to close” prospects do come to your site one last time, you want to make sure they are paired up with the reps they already know, like and trust. And while not super critical to closing business, chat can help you in the Ongoing Delivery Stage by allowing your customers to have an equally interactive, supportive and helpful experience should they need anything from your customer support team. But perhaps this is an article for another day. I’m going to keep this very simple, because when it comes to metrics you can go crazy with data, dashboards and analytics. I also spent about 15 minutes searching the web for any decent data on this, only to find mostly customer-support-related data. When it comes to sales and marketing, this is what we like to track for our clients. Yes, it’s simple. Yes, we have more detailed and more comprehensive metrics for some clients, but as I like to say, start simple and then get more complex over time. 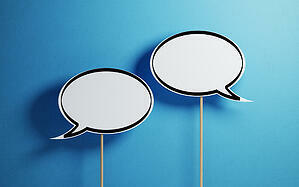 Conversations – How many conversations is your team having on a monthly basis? Is this number going up month over month? It’s easy to track and easy to see if you’re moving in the right direction. Qualified Conversations – Just like leads, all conversations are NOT created equally, so while the total number of conversations is a measure of your chat tool’s ability to engage your visitors, a better measure for you is how many of these conversations are with people qualified to do business with you. Again, track this month over month. Meetings Booked – Continuing to focus on business results if the qualified conversations are not turning into sales meetings? Then you have other issues. But if it’s working like it’s designed, then you should see meetings increasing too. Sales Opportunities – Again, you need to have the right meetings with the right people who can buy from you. If your chat tool is producing sales opportunities, give yourself a gold star. This is one of those business results metrics that matter to the CEO and your VP of sales. New Customers – This doesn’t have much to do with your chat tool, but it gives you the ability to attribute new customers to the chat marketing tactic, and it gives you some insight into your sales/marketing alignment. Revenue – Same as the new customer metric, this is mostly about the sales team’s ability to close, and now you can calculate some ROI on the chat tool investment along with any other marketing investment in setting it up, managing it and tweaking it over time. Get these together and you’ll have a nice dashboard on how effective your team is at deploying chat to drive revenue. No fluff, right? If you want leads, this is one way to get them. Better yet, this is a great way to give people what they want, and instant access is one thing they want. The faster you can respond, the better chance you have to win the deal. But this is also a great way to piss off your visitors and send them to your competitors. There is more risk here than the chat vendors might share with you. Chat has to be deployed responsibly, it has to enhance the visitor experience and it has to not turn them off. Like all marketing tools, chat is a tool. It’s not a secret recipe that once turned on cures all lead generation ills. It requires a tight orchestration of process, people and software tools. Remember, the results you’re looking for are NOT conversations or meetings but rather sales opportunities, new customers and increases in revenue. More importantly, chat is only going to be effective if your website tells the right story, delivers the right visitor experience and makes it easy for your visitors to get comfortable with your company. Sounds like marketing 101, right? That’s because it is. Start Today Tip – It’s easy to turn on chat. It’s hard to use chat to generate business results. To do that, you need to think through its use cases. What pages do you want it on? What questions do you want it to answer? How are you going to man it with humans? What is the human touch playbook? How are you integrating it with content? Once you get it deployed, how does it integrate into your sales process and how do you measure its effectiveness? These are all questions that can be answered, but they’re also questions that require experience using chat to drive business results.